With the popularity of personal computers and online purchases, customers became accustomed to faster transactions. That’s why physical stores also need to adapt to this level of speed and with the help of a POS system, you can easily and effortlessly achieve that. There are different types of POS systems, which cater to different industries. For example, if you are operating a liquor store, then you can find dozens of POS vendors offering a customized for liquor store POS systems to you and they differ from other types of POS systems in terms of features and capability. For example, a liquor POS system will have per bottle pricing while a pizzeria POS system will have a per slice pricing. If you are running a generic store selling retail items, chances are that you will not need a fully customized POS system, though there’s retail POS systems specifically targeted for your business type. However, for a store that requires a lot of processing, order tracking, logistics and other aspects like inventory and price monitoring, a fully customized POS system will come in handy. 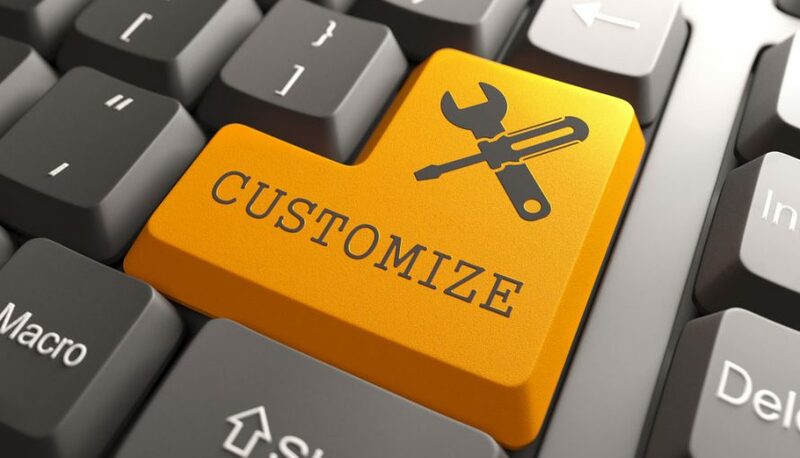 Customized POS Systems – What Are They? You might think that a customized POS system is a POS system that caters to your particular business model/type like retail POS systems or bowling alley POS systems. Customized POS systems differ greatly from industry level POS systems. A customized POS system is a fully programmed system, which alters your POS systems behavior further. For example, if you purchased a retail POS system and requested a custom programming that adds the name of your company and customer to the receipt, that’s what you, call a customized POS systems. They are terribly important if you want to provide the best and fullest customer experience. This will improve their loyalty and you will gain more and more customers.